​The presidency says it has accepted offers by the Turkish authorities to set up new schools and hospitals in Nigeria. Garba Shehu, Senior Special Assistant to the President on Media and Publicity, confirmed this in a feature ‘Key Takeaways from President Muhammadu Buhari’s 4-day engagement in Turkey’. 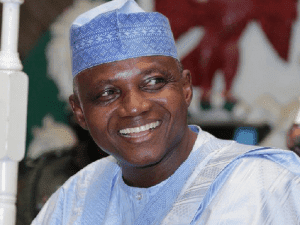 Shehu stated that a new investor, the Maarif Foundation for education was introduced to the Nigerian delegation to take up the establishment of schools and hospitals in Nigeria. He disclosed that a delegation from the foundation would visit Nigeria to commence the process of registration. “The two countries agreed to expand cooperation in exchange of scholars, exchange of students and exchange/sharing of ideas, skills and education technology and to improve scholarships for Nigerians to study in Turkey,’’ he added. Shehu revealed that Nigeria and Turkey also agreed to resolve the issues relating to Nigerian students in Turkish universities that were facing exclusion due to visa challenges. He said: “Nigeria and Turkey have equally agreed to strengthen and promote investments in health institutions and this, as promised by the President will proceed quickly. On defence, the presidential spokesman said the two countries agreed to strengthen defence and military cooperation initiated a few years ago. “This had already led to the establishment of the Defence section in the Turkish Embassy, Abuja in 2013 and Nigeria’s Defence section in Ankara in 2016. “In the latest rounds of discussions, Nigeria and Turkey penned an agreement on military training,” he added. Shehu said the two countries also agreed to collaborate towards the upgrading of the Defence Industries Corporation (DIC) in Kaduna into a Military Industrial Complex of Nigeria. He added that two Turkish companies were already collaborating with the DIC in the production of arms and ammunition. “Of the two companies, one is establishing a rifles production line and the supply of raw materials, technical assistance and training.